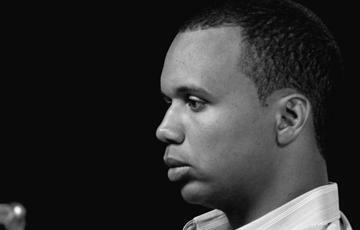 Phil Ivey has been out-bluffed, but this time not by a poker player. A judge presiding over Ivey’s lawsuit against a London, England casino in which Ivey claims that the casino has withheld his $12.4 million in winnings has said that Ivey did cheat the casino and the property owes him nothing. If you’re new to the story, here’s what happened. Ivey won a ridiculous amount of money playing a high-stakes table game. The casino argued that Ivey cheated, an accusation he fiercely defended against. Ivey did admit to edge sorting. That’s basically noticing a manufacturing defect on the sides of cards that are in play and taking advantage of them. The multi-million dollar winning pro poker players maintains that he never touched the cards. So, he didn’t cheat. He just noticed something and took advantage of it. This begs the question. Is it actually cheating if the casino is at fault? For example, imagine you’re seated at a Blackjack table and the dealer has a face card and checks for the Ace. It’s not there, but when he checks, you can somehow see the card marking on the reflection of his glasses. You know what’s there, so you play accordingly. Is that cheating? Or is it just taking advantage of a sloppy casino? In any event, the judge agreed with the casino. Ivey was refunded his original stake, but not the $12.4 million he won. There’s more to the story here. After the UK casino went public with the claim that Ivey cheated, Borgata Casino in Atlantic City sued Phil Ivey for $9.6 million. Ivey won that huge chunk of change back in 2012, and now the casino is alleging that he used edge sorting to win that money too. All those winnings seem like a huge chunk of change, but it’s just a tiny amount compared to the $30 million Ivey has won playing poker in tournaments and at the online poker tables. And while he’s still a respected poker player, many are beginning to wonder how much of that $30 million was won fair and square. I’m not alleging he cheated, but let’s face it. Stranger things have happened (I’m looking at you, Ultimate Bet and Absolute Poker).